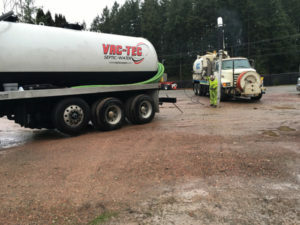 For your septic tank pumping needs in Pacific, WA, rely on VAC-TEC LLC. Our team has been providing septic tank pumping services for years. You can rest easy knowing that your septic tank pumping needs are in good hands. We work hard to provide you with the highest quality septic tank pumping services in Pacific. Your satisfaction is our number one goal. 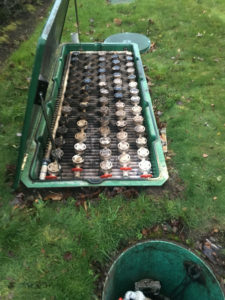 Septic tank cleaning is crucial to preventing costs and hassles down the line. As you already know, septic systems dispose of wastewater and so tend to be dirty and full of harmful bacteria. To keep the system in good working condition and eliminate the foul odors that usually forms due to dirt and sludge buildup, septic tank cleaning is highly recommended. Why Should Pacific Residents Choose Us for Septic Pumping? We pride ourselves on providing a high quality septic pumping services. Septic pumping is relatively affordable, but getting a damaged septic system repaired can cost thousands of dollars. We make septic pumping as easy and painless as possible for you. There are various factors to consider when it comes to scheduling septic pumping. First, the size of your tank is important. Second, the amount of wastewater that is produced is also a deciding factor. Also, there are other factors that determine how often you should seek septic pumping. Our friendly, knowledgeable team is here to help you develop the best septic pumping schedule for your specific needs. Our fast response, attention to detail and dedication to excellent customer service have made us the go-to septic pumping company in the Pacific area. For septic tank cleaning in Pacific, VAC-TEC LLC is the name to remember. Call us at Tacoma – (253) 777-4887 Seattle – (206) 339-0039 Olympia – (360) 338-6686 North Dakota – (701) 566-0045.